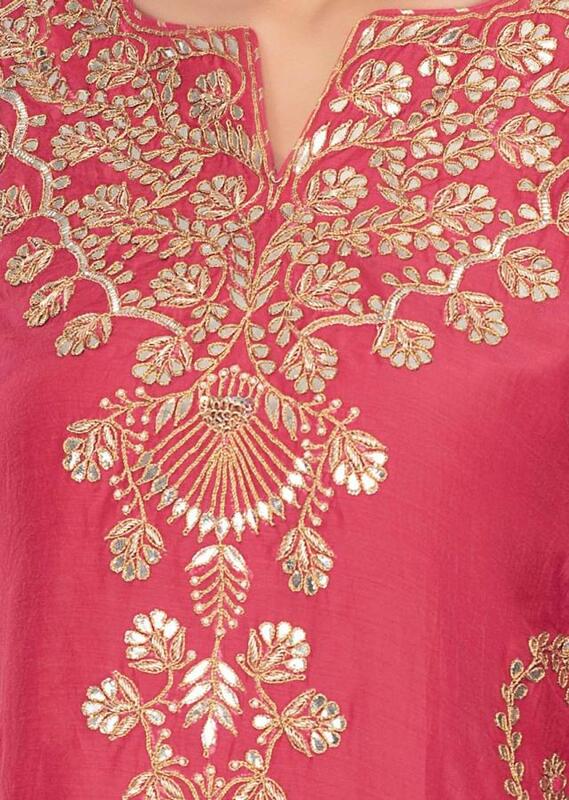 Punch pink cotton silk suit in gotta patch, zardosi, moti floral embroidery and butti. It comes with a matching cotton silk sharara pant. Paired with a matching chiffon dupatta.